MY BROTHER STEVE and his 15-year-old son, Riley, are in town for a few days. It was especially fun for Riley to play the cajon with Brien Murphy and me at the Maulers show Saturday night. Father-son bonding at the Gems game! 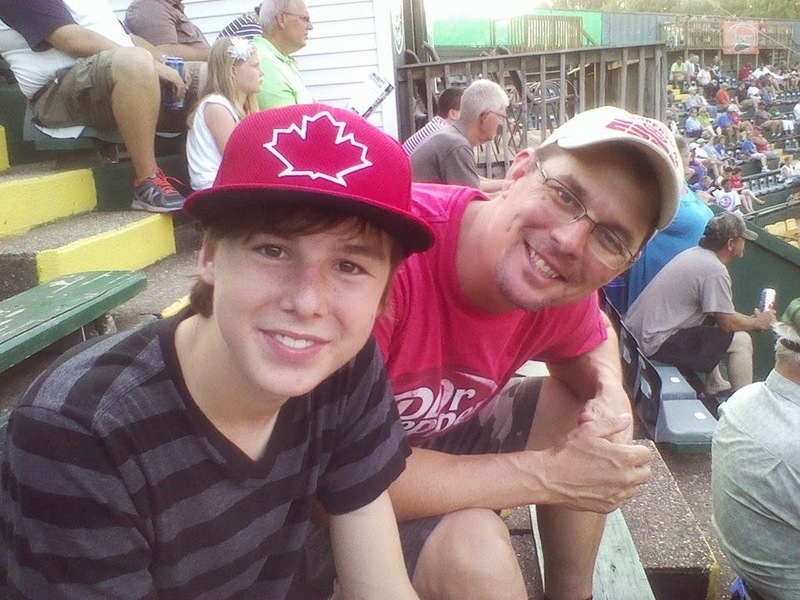 On Sunday, Steve bought his son a new baseball glove and we went to a Quincy Gems game. Yesterday, Steve and his son decided to go to Springfield. They went to the Lincoln museum and then decided to catch the Gems play the Springfield Sliders. Riley has had a great time in Quincy, but I'm sure for him the highlight was catching a couple of foul balls at the baseball game. There is no better way to do the father-son bonding thing than to make a road trip like this. They head back to Phoenix tonight with great memories and heavier luggage, thanks to the new glove and baseballs.